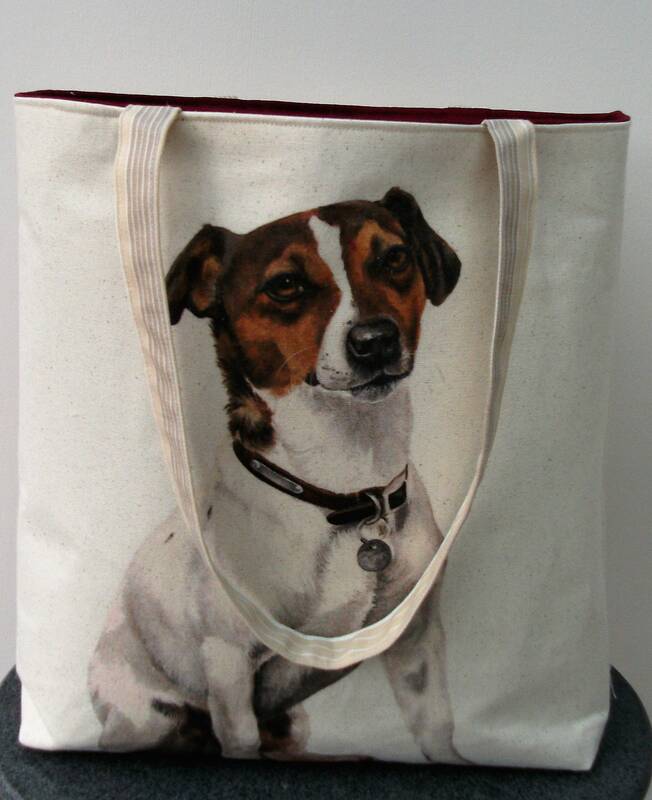 This fabulous large tote bag features a gorgeous picture by British artist Wendy Darker of a Jack Russell terrier. 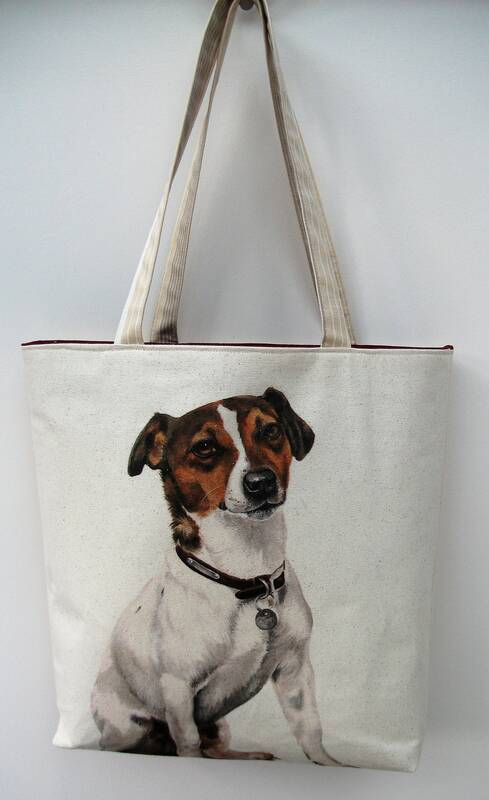 The main fabric of the bag is 100% organic cotton with the picture on one side and plain organic cotton on the other. 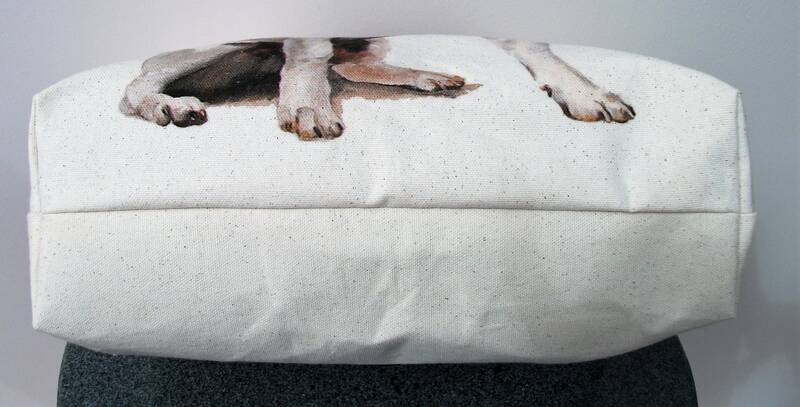 It has a dark red lining which beautifully offsets the featured picture on the front. 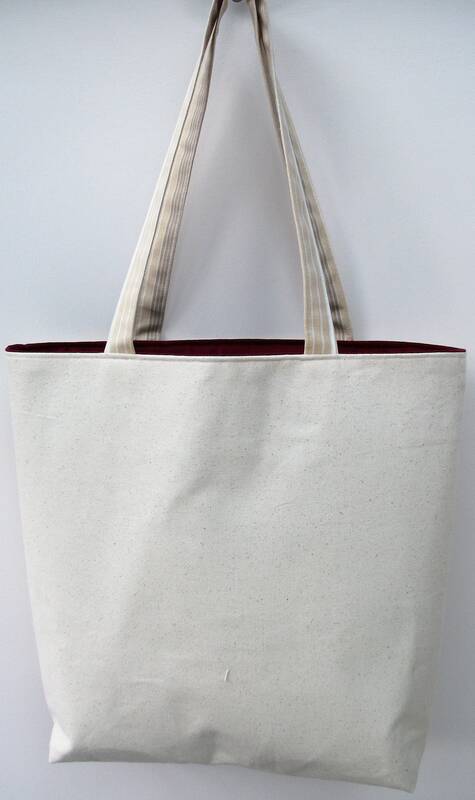 The bag has a heavyweight interfacing to give the bag strength and body and means it will stand freely and not flop over. 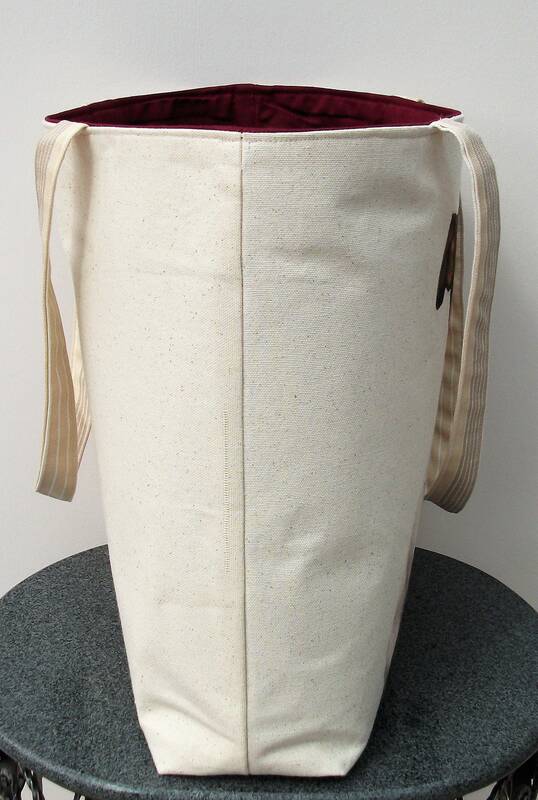 The handles are made from quadruple thickness of fabric and are triple stitched to the bag for extra strength. 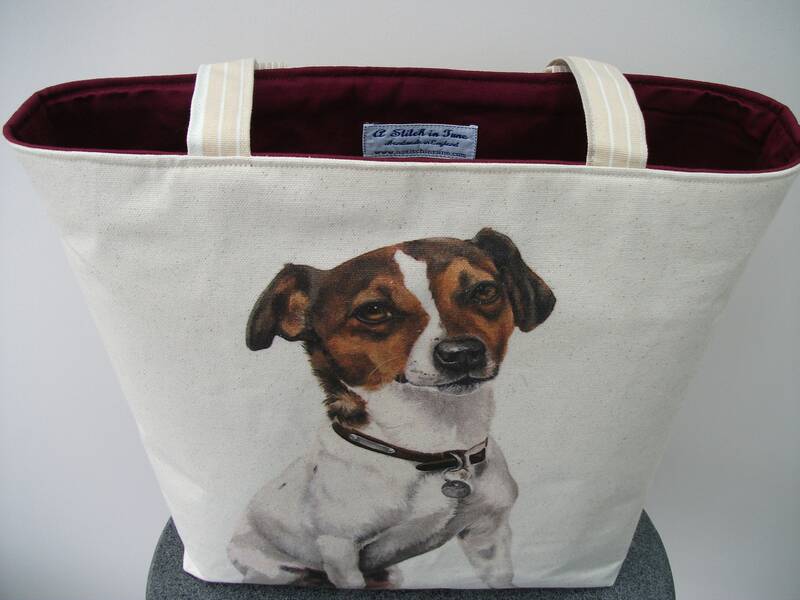 It can be used as a market bag, a book bag, a knitting bag, or for those days out with the kids when you need to pack everything but the kitchen sink ! 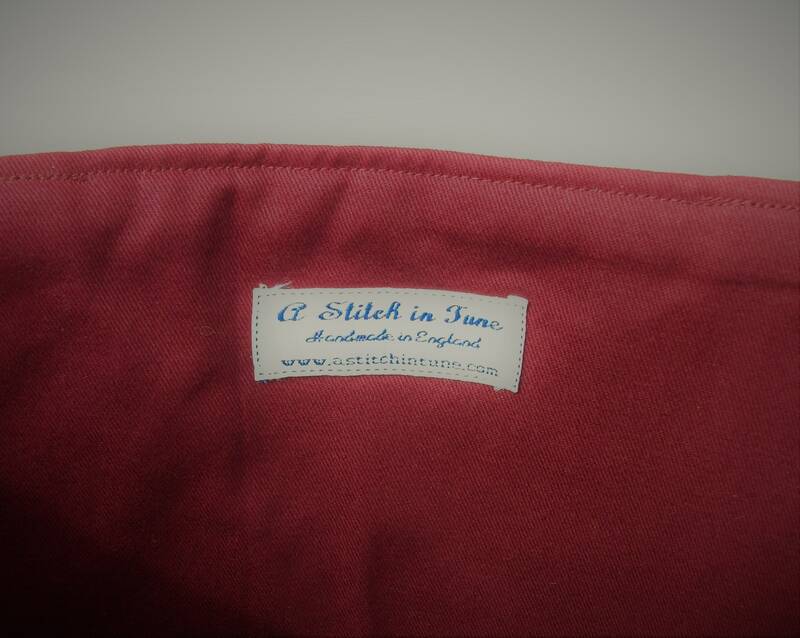 The bag can also be made with an inside pocket and a magnetic closing clasp to stop items falling out. Please select options at check-out. 4.25 inches/ 11 cms deep. The straps measure 24.5 inches / 62 cms with a drop of 11 inches. 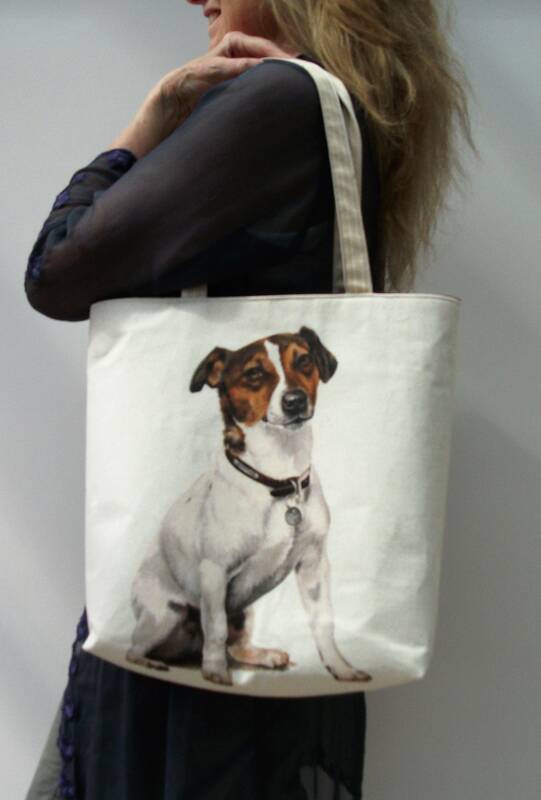 This is a great gift idea for any dog lover, in particular Jack Russell fans !